Pproduct made of sliced red beets, in marinade with addition of food acids, sugar, salt and spices. Pasteurized in hermetically closed jars. All ingredients of agricultural origin and additional ingredients meet the requirements EU current legislation for organic production. 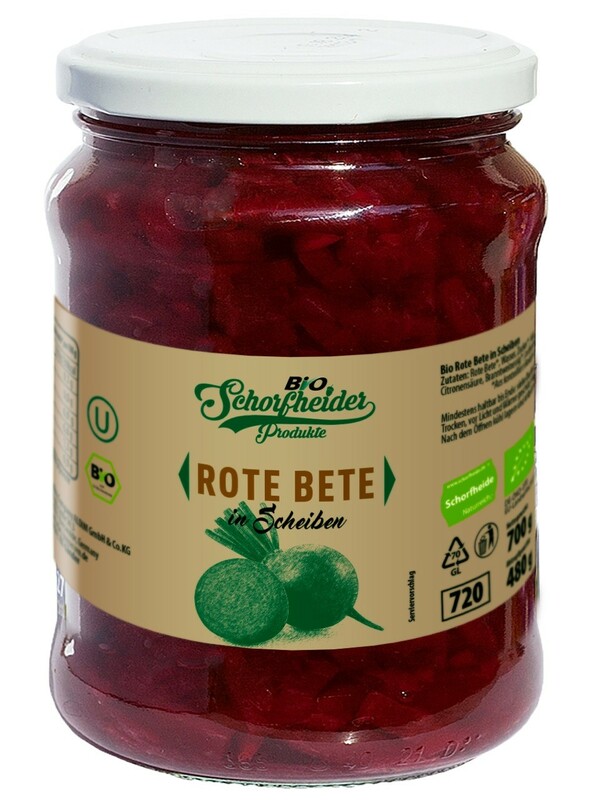 Company ALDIM Germany canned fruit and vegetable products Company ALDIM, located approximately 45 km from Berlin, was founded in 1997 by Alexander Schneckenhaus and was named after the founder‘s children, Aljona and Dimitri. The company has been in the trading industry for more than 20 years and specialises in canned fruit and vegetables. In 2016, Company ALDIM made extensive investments to upgrade its production line. The manufacturing facility was extended with a new production installation that meets the newest modern technology criteria and allows the transposition of traditional recipes without the use of artificial flavours, flavour enhancements, colourants and other additives. This guarantees original taste, vitamins, minerals and long-lasting durability Company ALDIM id an IFS and Organically certified business.